If you’ve dreamed of having a beautiful, healthy, smile – one that looks as spectacular as it feels-it is yours. At Walnut Creek Aesthetic Center, we can enhance your smile in just one to three comfortable office visits. Explore each topic below to find out how your smile can be transformed. It takes an extremely skilled dentist and a highly trained eye to provide pleasing cosmetic dentistry results. Dr Rader has completed LVI coursework that gives him the expertise possessed by less than 1% of dentists nationwide. This distinguished level of dentistry education allows us to provide you with the smile of your dreams. If you have ever thought about changing the appearance of your teeth, let us help you make a confident, informed decision about your smile. Don’t wait another day to start smiling with confidence. The good news is that smile makeover technology and state-of-the-art cosmetic dentistry training available to LVI-trained cosmetic dentists make smile makeovers better and easier than ever before. A complete smile makeover by an LVI-trained cosmetic dentist involves not only improving the look of the smile, but also restoring the teeth, bite and muscles to their natural positions. Not only will you look great, you will feel even better! Come in for a comprehensive consultation and discover your new smile. Dr Rader will evaluate you unique facial structure and guide you through your smile makeover options. 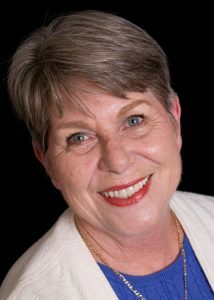 Through smile imaging, Dr Rader can simulate what your new smile can look like after your cosmetic smile makeover. Porcelain Veneers are individually designed, thin porcelain sheets that are bonded to the front of the tooth. They can make a tooth longer or shorter, wider or narrower, as well as permanently change the color. Porcelain veneers are a solution for you. 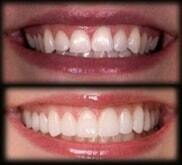 Veneers are ideal for one who wants a straight, stunning smile in two to three easy and comfortable visits. Perio-esthetic laser dentistry is the latest technology in the treatment of the soft tissue of the smile, incorporating the gingival aspects or gum tissue as an essential ingredient of smile design. In effect the prettiest teeth shall not compensate for uneven, unhealthy, swollen and angry red gums. The gingival tissue in essence frames each individual tooth, helping to enhance the tooth and adding to the over-all orchestration of the smile. Constructive and imaginative manipulation of the gum tissue can provide the necessary illusion to create the perfect smile when the anatomical aspects of the oral cavity and the face do not permit it. Laser is used to intimately negotiate the curves and folds of the gingival tissue without having to cut and suture them. The laser allows for free flowing sculpting and description of soft tissue by using an ergonomic pen-like laser handgrip. This is a painless and quick method of achieving an exact and precise design of gingival tissue that will match and enhance the smile, especially when incorporating new porcelain veneers to alter the smile. According to the American Academy of Cosmetic Dentistry, whitening is the most requested cosmetic dental procedure in the United States. Dr. Rader estimates that 85% of our patients express interest in having a whiter, healthier smile. As we age, out teeth become yellow. Its natural, but it is embarrassing. If you smoke, drink coffee, tea colas and red wine, the staining can be even more pronounced. Now you can do something about it. The Zoom! In-Office Whitening System is a revolutionary tooth whitening procedure. It’s safe, effective and fast – very fast. In just over an hour, your teeth will be dramatically whiter. Zoom! 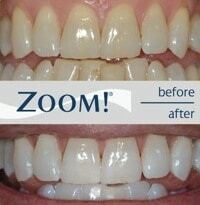 Whitening is ideal for anyone looking for immediate results. The convenience of Zoom! in comparison to days of wearing trays and gradual whitening makes it the perfect choice for the busy individual. The Zoom! Light-activated gel was developed after years of research by Discus Dental, the leaders in professional take-home tooth whitening. The gel is a scientifically formulated, pH balanced hydrogen peroxide that, when activated by the Zoom! light, gently penetrates the teeth to remove deep stains and discoloration. With proper care and an occasional touch-up at home, your whiter smile will sparkle for years. Please refer to Questions & Answers page to learn about the details of this procedure.